Justin Sullivan /GettyImagesChoosing to compost is an important step you can take to help the environment. Composting at home sounds intimidating. 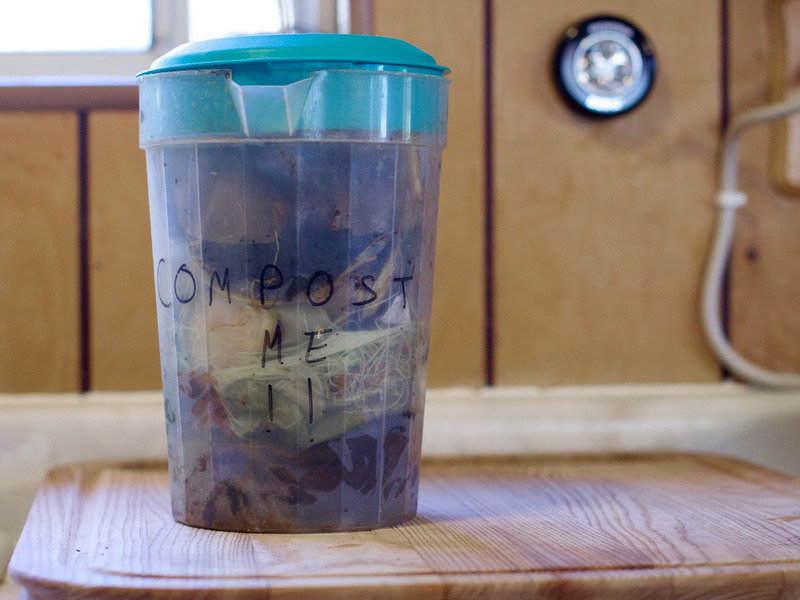 You have to figure out where to store your food scraps, what food scraps can go into the compost pile, how to contain any odours, and what to do with the final product. 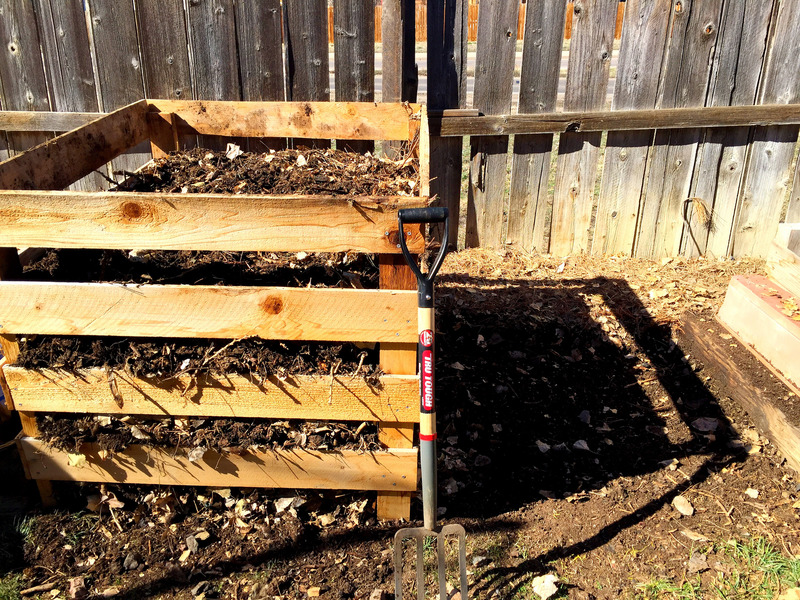 Composting is a scientific process, so there are certainly specific steps to take to make sure it is done correctly. But it’s also totally possible and important to do, especially with households in the US wasting up to 40% of their food. Alan Levine/FlickrYou can use a compost bin indoors. Either way, follow Safe Bee’s instructions to avoid attracting pests. Rebecca Murphy/FlickrIt’s easy to do outdoors. 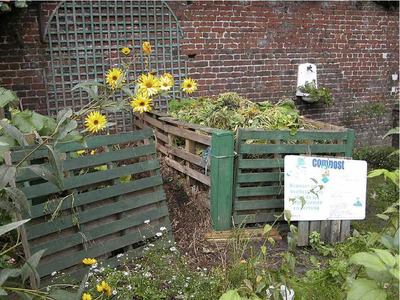 If you decide to compost outside, the Environmental Protection Agency (EPA) recommends choosing a “dry, shady spot near a water source.” You can start a pile inside a bin, or you can start the scrap pile on the ground. If you choose the latter, building a small fence around the space can help control the size of the pile and keep pests at bay. You’ll definitely need a bin if you decide to compost indoors, but you can pick one up at a hardware store, order it online, or follow Apartment Therapy’s instructions and make one yourself with a container and a tray. If you are composting outside, you can go ahead and throw your scraps on the bare earth. This makes it easy for earthworms to access your pile to help break down the food. It is helpful to add a layer of twigs to aerate the food pile, too. If you are composting indoors, put a layer of shredded newspaper at the bottom of your bin, then per the EPA’s instructions, add about a pound of soil. If you’re up to it (and you’re not squeamish), you can add worms to your indoor bin, so long as there are holes at the top of it for breathability. Collin Anderson/FlickrThere’s something to be done with your food scraps. 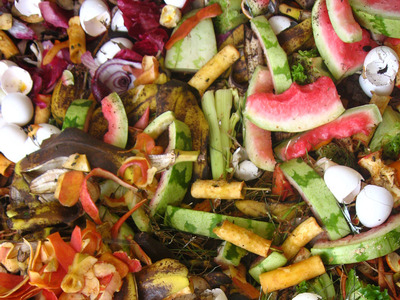 Composting shouldn’t be an excuse to waste food, but for those times you do have some leftover peels or old eggshells, it’s time to put your bin to use. Science, of course, plays an important part here. The EPA explains that compost is comprised of three parts: brown matter, green matter, and water. 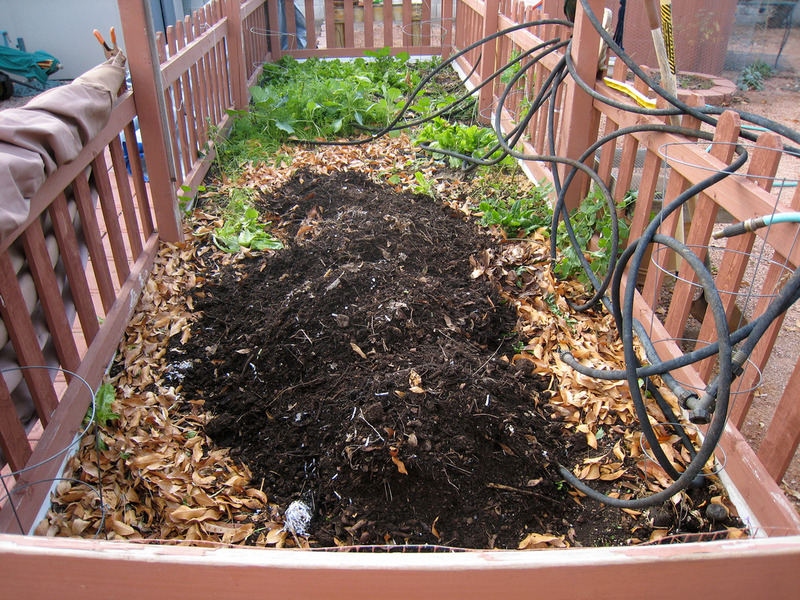 Brown matter, like twigs, dead leaves, and shredded paper, add carbon to the compost. 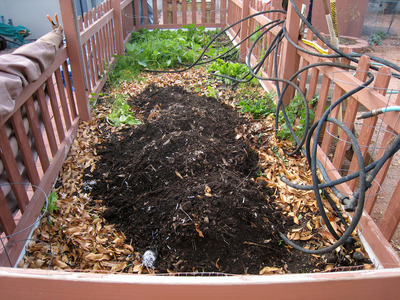 Green matter, like food scraps, tea bags, and coffee grounds, provide your compost with nitrogen. For best results, and to control smells, the Natural Resources Defence Council recommends about a 2:1 ratio of browns to greens. WikipediaDon’t let your pet near your bin. According to the EPA, pet waste can carry harmful bacteria, germs, or worse. If you’re ready to toss in some diseased plants or chemically treated lawn clippings, don’t. They could contaminate the entire pile. Shawn Campbell/FlickrUse a shovel to mix the compost. Putting the bin together is the hardest part of the process, and even it is not too difficult. 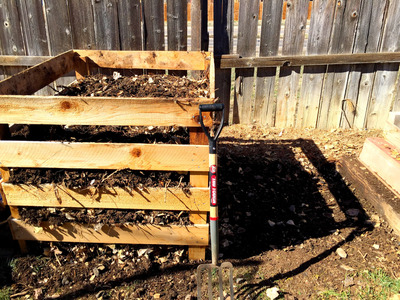 Once you have a designated pile and you’ve mastered the 2:1 browns to greens ratio, you just need to mix the compost with a shovel about every two weeks. Put your “gold” to good use. Alan Levine/FlickrAnyone can turn leaves, twigs, coffee grinds, fruit peels, egg shells, and more into black, organic soil. 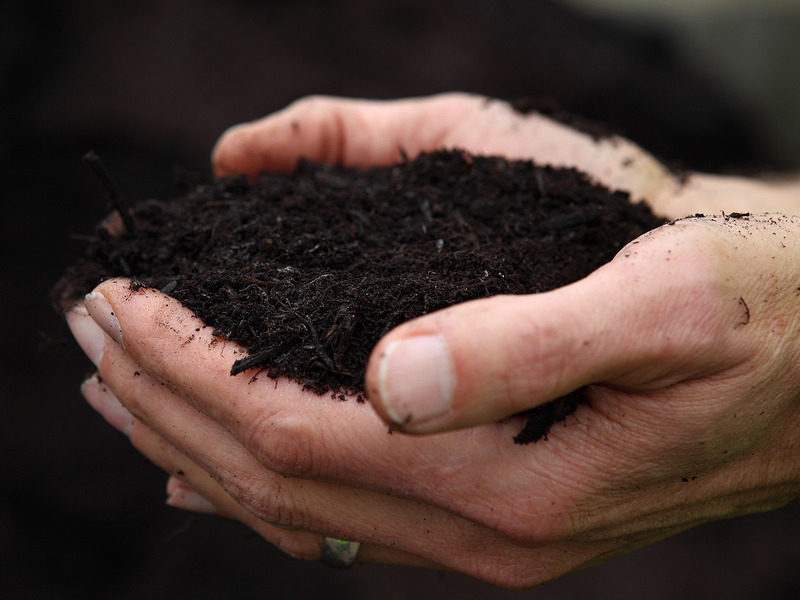 Once the compost becomes a rich, dark brown and is light and fluffy, the compost is ready and often called black “gold.” You can add it to your garden or to plants around the house. 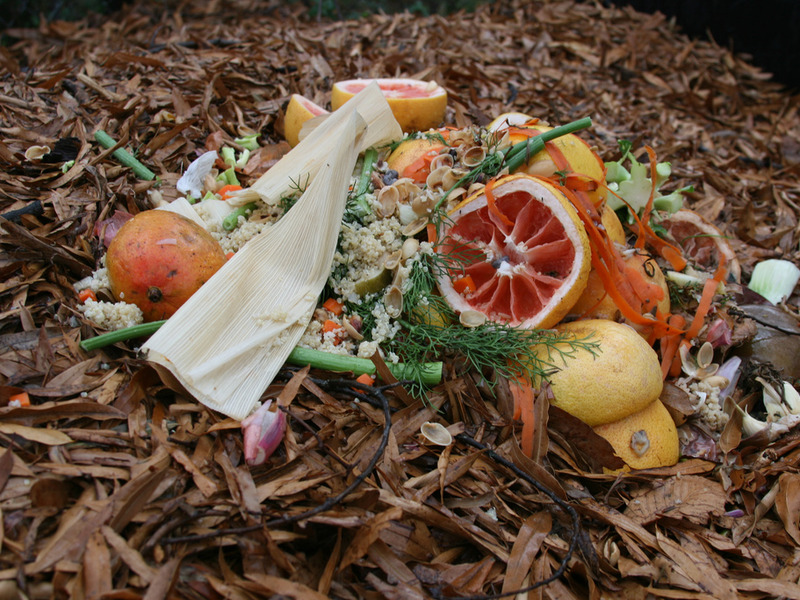 If you find yourself with too much compost, offer to share with friends and family or check with local farmers, community gardens, schools, and offices to donate your surplus and spread the love. Be sure to check your city’s waste management website, too, for compost drop-off options.